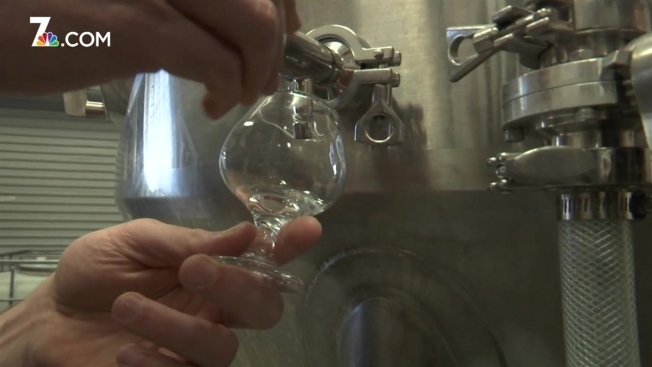 Could Mead Be The New Drink of Choice for San Diegans? An old-fashioned drink based on fermented honey and water is finding new life in San Diego's adventurous craft beverage market. Lost Cause Meadery is a tasting room that's been in business in San Diego's Miramar area for about a year-and-a-half. The spot offers a unique and historic alcoholic beverage known as mead, which is made by fermenting honey with water and adding spices and fruit to create different flavors. San Diego residents Billy and Suzanna Beltz run Lost Cause Meadery. Billy is the lead mead maker. Coming from a beer brewing background, he said he fell in love with the art of making the perfect mead. Lost Cause is an award-winning meadery, with gold, silver and bronze medals from various brewing competitions. Lost Cause is the only meadery within a 20-mile radius. There are some in North County, but the spot is hoping to bring the drink to locals at the southern and central parts of San Diego. "We named this place 'Lost Cause' because we thought it was a lost cause to start a meadery around here in San Diego," Billy said laughing. "But it's a reminder to never give up on your dream."